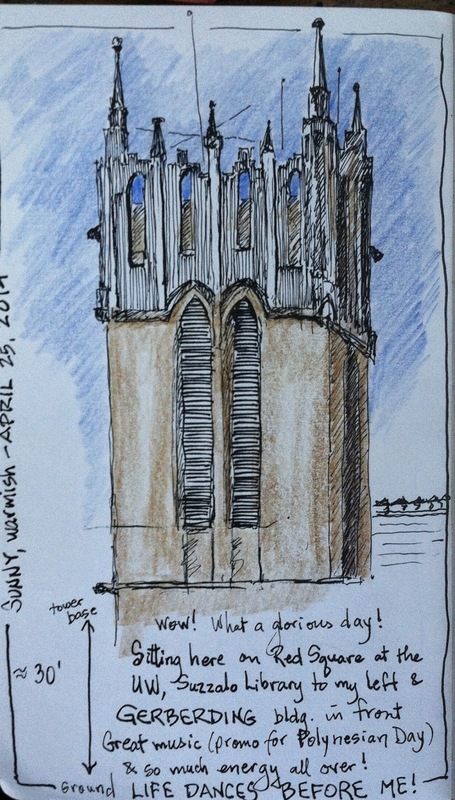 I joined just 2 other urban sketchers yesterday, for sketching near Red Square on the UW campus. It was sunny, and almost warm, so I stay outside, on the square. 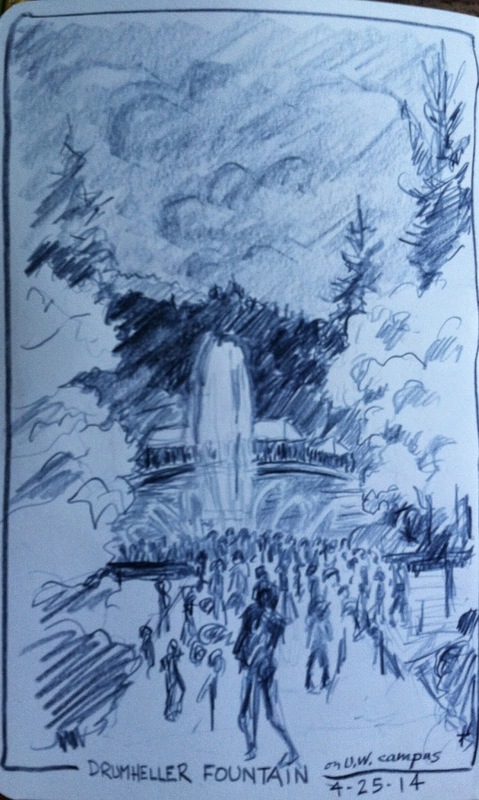 I walked over to sketch the view of Drumheller Fountain (Rainier Vista), and though "the mountain" wasn't out, I still enjoyed sketching that classic view. Then I sat on some steps to tackle just the top 20+ feet of tower of the Gerberding Building. 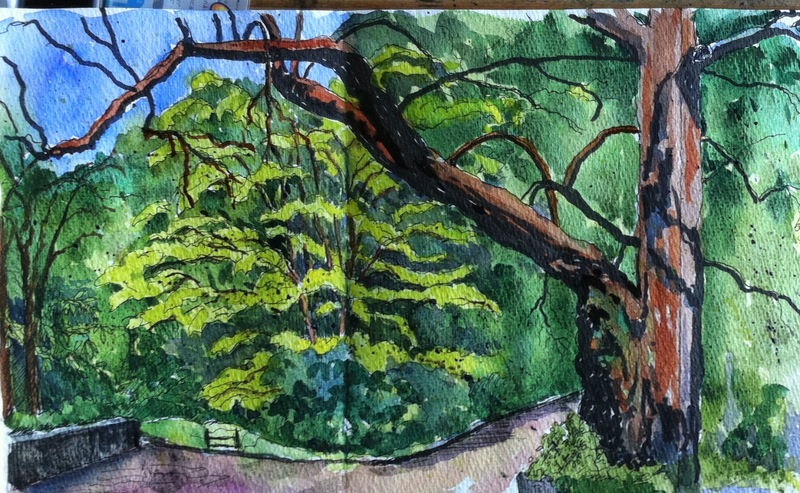 But it wasn't until I walked around the corner, and along a small triangle of "deep woods" complete with Redwoods and Giant Sequoias, that I found "my" subject, a huge elm tree, not yet leafed out, but entirely covered with clusters of seed pods.